The John Deere 854 Round Baler makes a tedious job a little easier. The pickup arm lifts and lowers & the opening rear door adds a great detail. 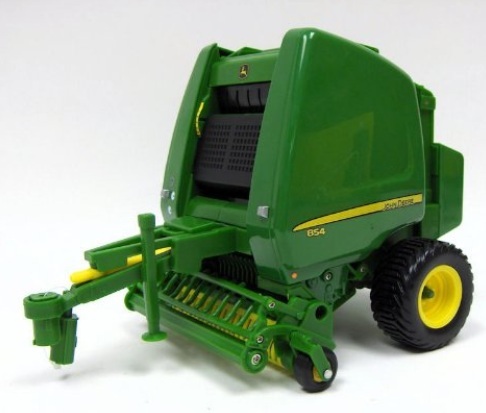 The universal hitch on this JD 854 Round Baler allows it to be used with all Ertl 1:16 scale replica vehicles.